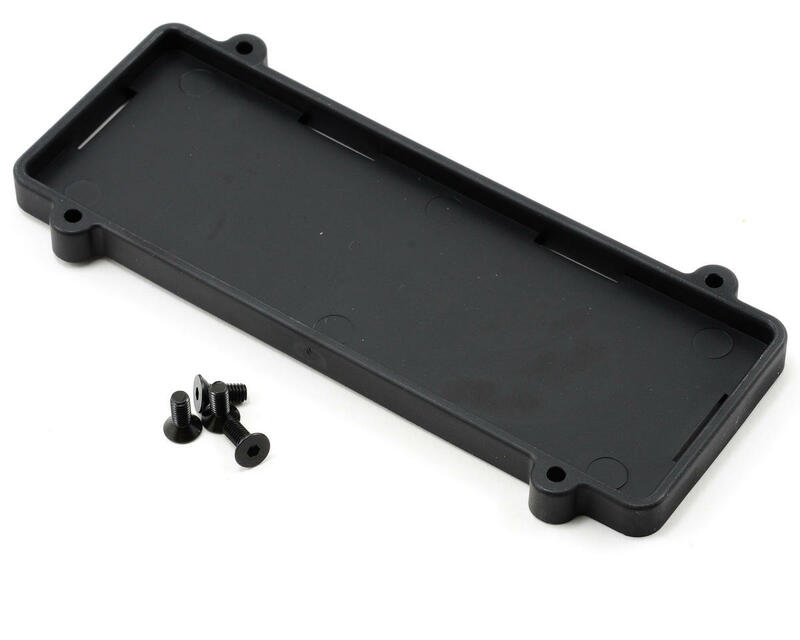 This is the Tekno RC V3 Battery Tray. This lightweight, sturdy, and durable battery tray was designed for the Tekno RC V3 brushless conversions, but can easily be adapted for use in other setups. Inside dimensions of the tray are 150x50mm (LxW), the height measurement is determined by your battery and application. 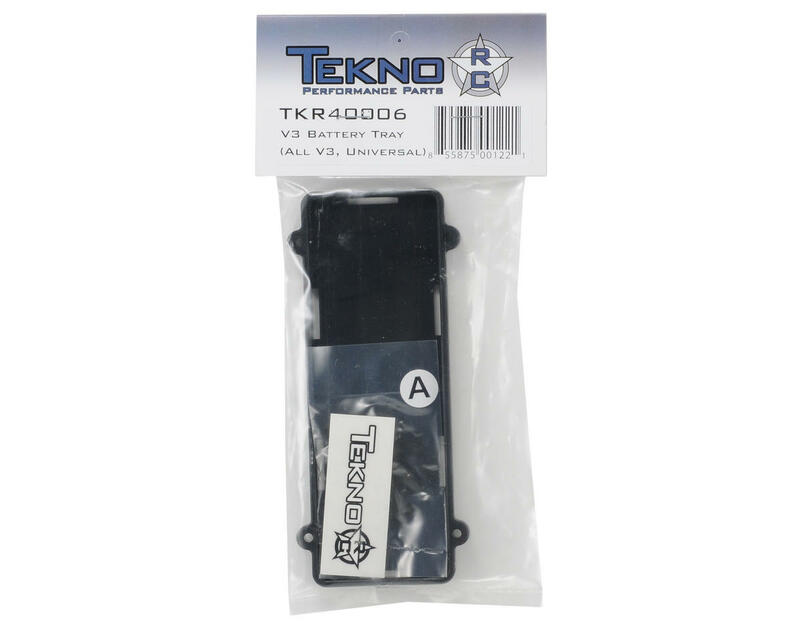 The front and/or rear walls of the tray can be cut or ground to accommodate longer batteries as the straps (TKR40007K, TKR40007B) are what secure the battery in place. NOTE: Battery straps sold separately.